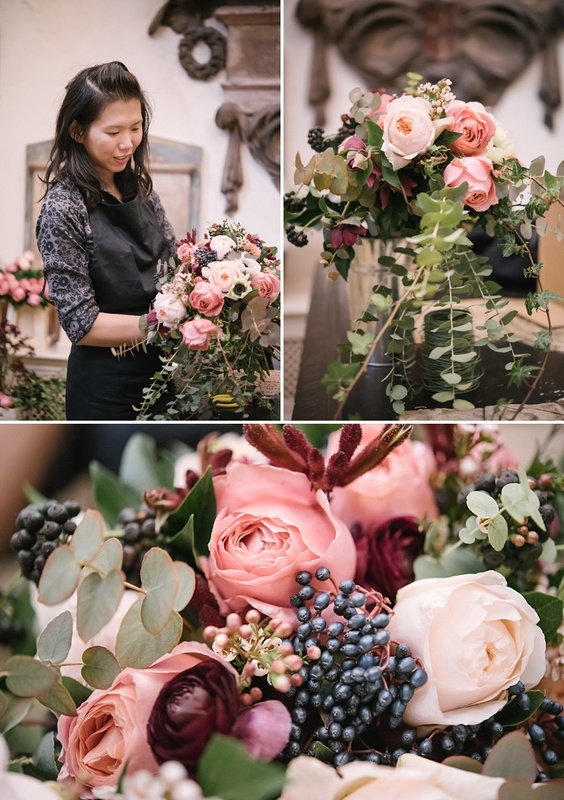 Eileen is the genius behind this beautiful wedding bouquet and floral display. 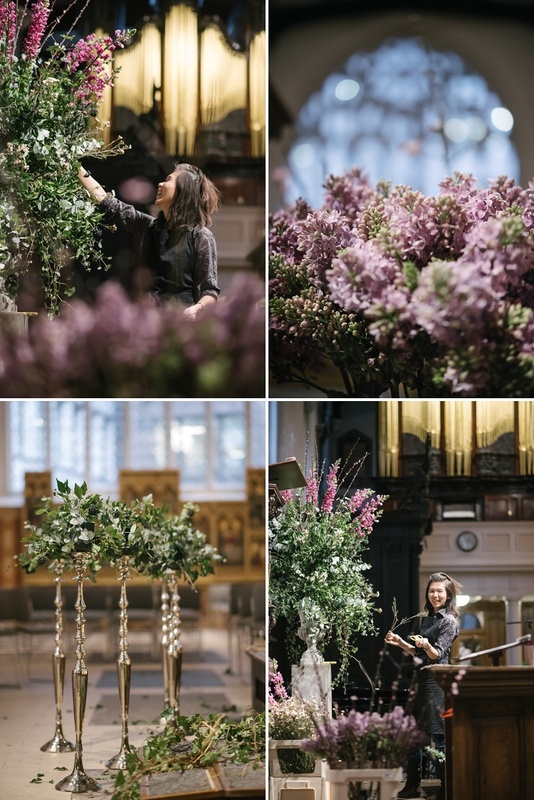 I interviewed Eileen for this feature and photographed her in situ while she was designing a big and stylish floral wedding display for the following day. Eileen tells me she had been up at 4am picking her flowers up from her supplier on this day. I have photographed a few weddings where Eileen has weaved her magic on the bouquets and florals. 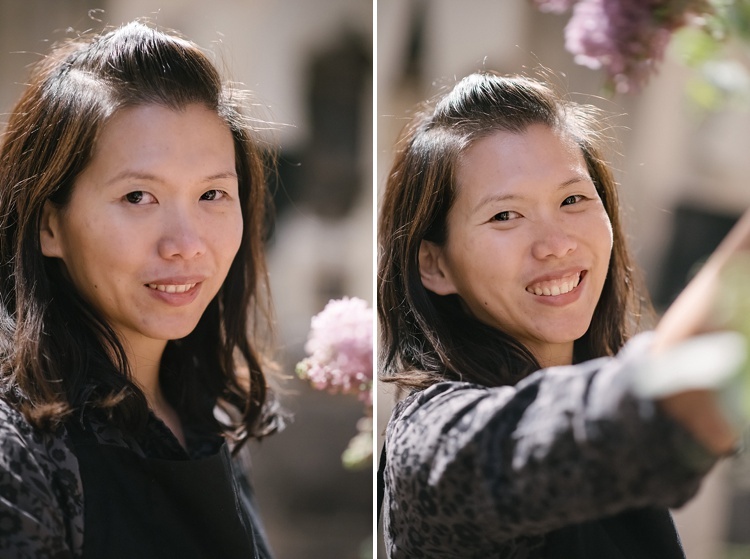 Meet the talented Eileen and read about her advice on choosing flowers for your big day as well as what inspires her and much more! How did you get into the business of floral design? I stepped into the world of flowers by happy accident. Twelve years ago, I moved to London and started working in finance. It wasn’t too long after that, that a friend from the church I was, and am attending, asked if I could help with her wedding flowers. Apart from dreaming about working with flowers one day, I had no experience whatsoever with flowers at that point. I agreed, thinking it was just putting flowers out on the tables but it turned out that my friend was brave enough to trust me with a lot more! My sister, knowing that I have no experience whatsoever very generously gave me a series of lessons with the Jane Packer Flower School for Christmas. I was literally buzzing after each lesson and flowers became very much of my life. 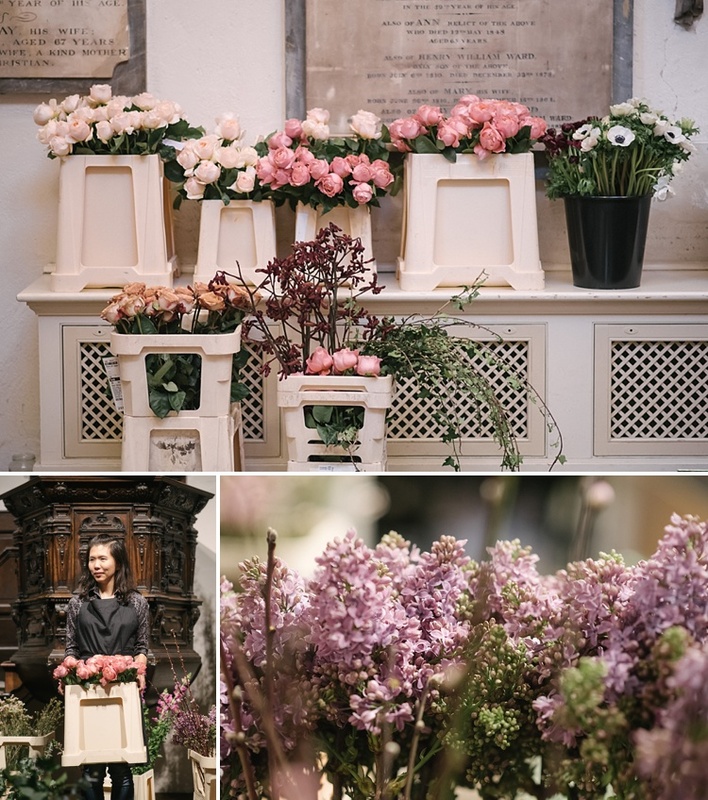 After the exhilaration of that first wedding, I joined the flower rota at church and over the years learnt so much from the extremely talented ladies on the rota who had all so graciously shared their knowledge to me. I am still part of that rota today. Also from that first wedding, word got around and I have been working on weddings and events by personal recommendations ever since. What would you say your main influences and inspiration are when it comes to flowers and styling? My biggest inspiration is from Creation itself – the ever changing seasons, varied landscapes and all the beautiful things that grow in it. I love the New Covent Garden Market and often visit just to see what they have in store. To me, it is like being a kid in a giant sweet shop! When it comes to weddings, the bride and groom are usually the biggest source of inspiration. There is a story behind every couple which will shape the wedding day and there are so many elements of the day which will be influenced by it such as the wedding dress, venue and colour scheme. The challenge is often not so much trying to find inspiration but trying to figure out what the most important elements are. What are your most favourite flowers and why? You cannot possibly make me choose…that’s favouritism! I am easily charmed by whatever is in season. At this moment in early spring, it is the various blossoms that had just started to make an appearance and the delicate snowdrops which are so pretty and seasonally short-lived. One favourite that does stand out is the magnolia, which is so tactile when it’s in its velvety bud form and so effortless elegant once in bloom. The magnolia foliage is also a real beauty for the autumn/winter months, with leaves that are the richest glossiest green on top and velvety burnish orange on the undersides. What advice do you give to couples when deciding on their wedding flowers? 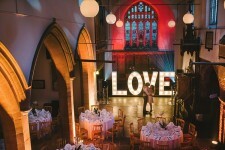 It can be so easy to get carried away or be overwhelmed by all the details of planning a wedding. It is important to think about the bigger picture, including the cost. 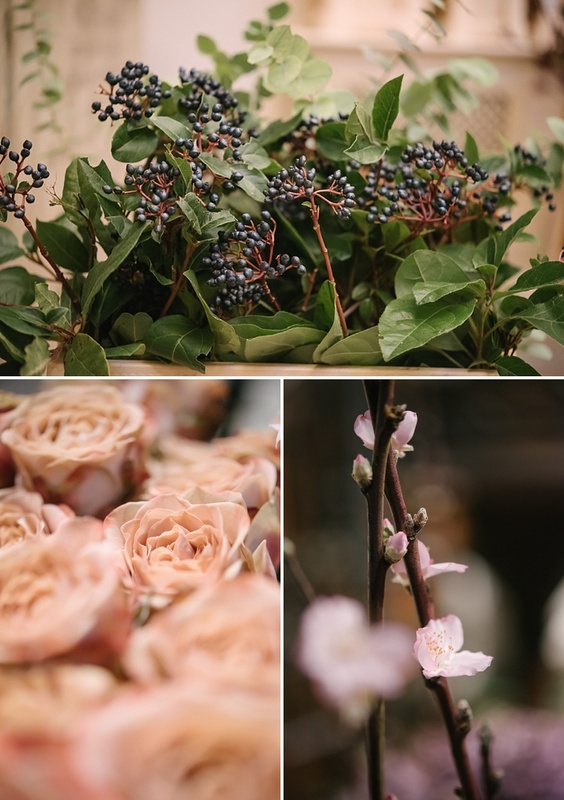 Choose seasonal blooms and foliage, if possible because they are more often than not better value for money and more importantly, they’ll be at their best. 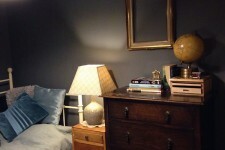 I often recommend using Pinterest to couples who are trying to gather ideas, as it is a useful visual tool. Don’t be afraid to ask your suppliers, including your florist lots of questions! I love what I do because I enjoy working with people. 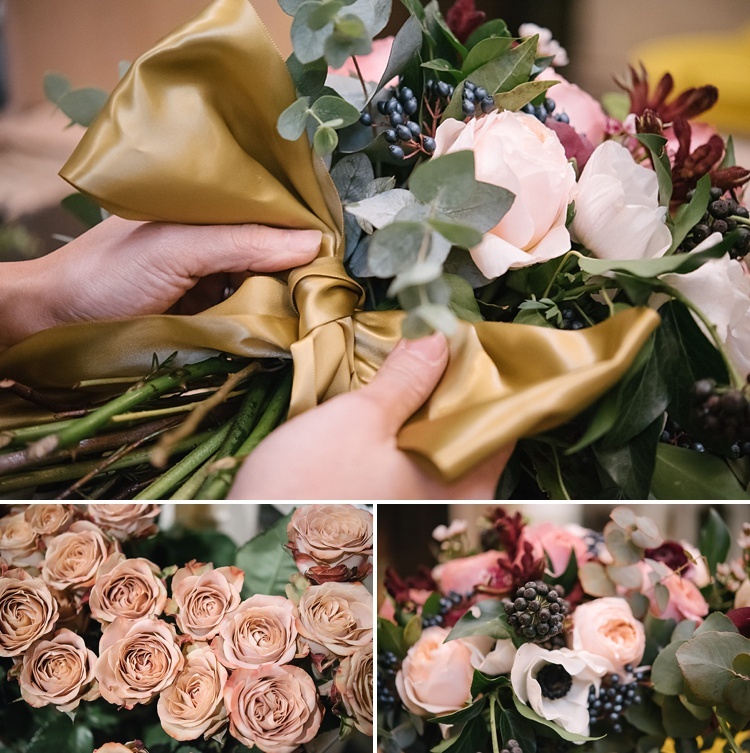 As I only work by appointment on a bespoke basis, my clients come to me because they are celebrating a momentous event in their lives for which the flowers will set the mood and complete the day. It is such a privilege to be able to provide the finishing touches on any event, whether it is an intimate dinner party in the company of dear friends, or in remembrance of a life well lived or a large glitzy drinks reception. When it comes to weddings, it is the core of what I do because I simply love weddings – what an honour to be involved in what is often the most significant day of a couple’s life! If you were given free rein to creating a wedding flower display and bouquets to delight your couple, what would they look like? I’m thinking an abundance of seasonal British foliage – tall stately trees and yards of flowing garlands, all interspersed generously with scented herbs, armfuls of tactile perfumed blooms and seas of candles! I formalized the “business” three years ago when I left my city job to spend more time with the family. 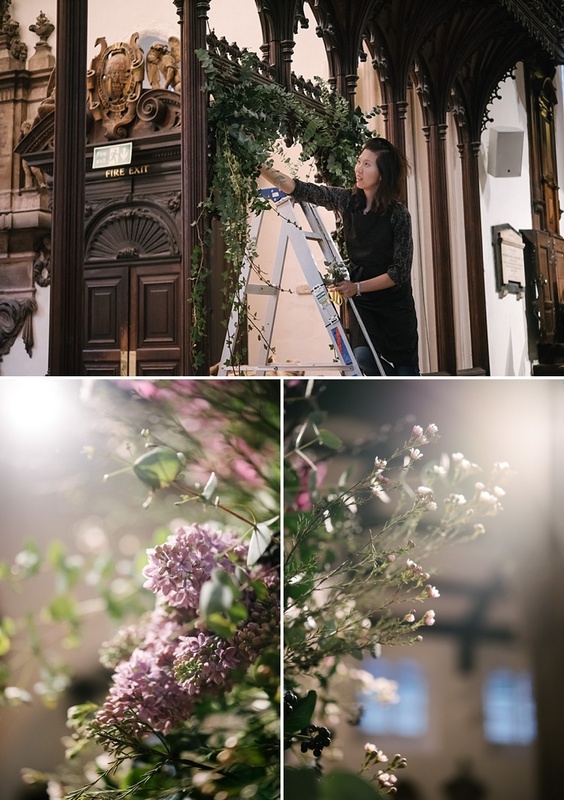 For the first time, being a floral designer was no longer “something I did on the sidelines at the weekend” but a real business that runs alongside my young family. However, that hasn’t changed what the business has grown organically into over the years. I want to continue providing the bespoke and personalised service that I’ve become known for. I would love to keep designing beautiful flowers, adorning tables and spaces, being part of the landscape for beautiful memories…oh how abstractly impractical and romantic! What is your dream regarding your personal life? This summer, my husband and I will celebrate ten years of marriage. We never expected the fairytale happily ever after and certainly it had not always been plain sailing, especially when we had two little people join us in the last five years! What we did have are fabulous years of growing together, through the good times and bad. Sometimes life can be all about goals and aspirations, especially in the rat race that is London. For the next ten years, I want to stop and smell the roses (pun intended! ), count my blessings and be reminded that in many ways, I am already living a dream. It is what I make of life’s circumstances and challenges that determines whether or not it stays a dream! 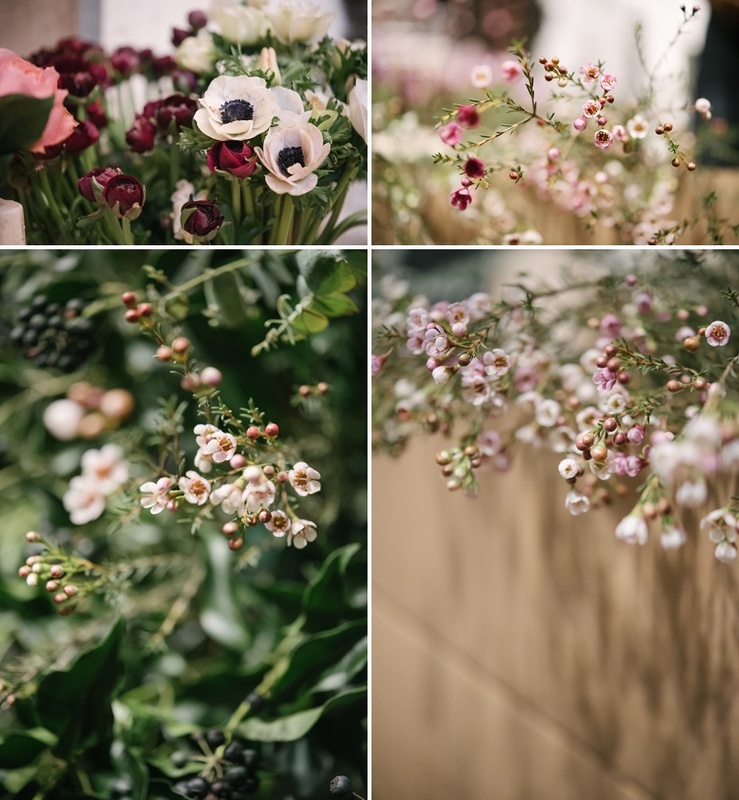 If you are looking for someone who can magically transform your big day with tantalising florals, get in touch with Eileen on her Facebook Page.